October is Down Syndrome Awareness Month. My son, Caleb, was diagnosed with Down syndrome when he was born, and our family has since been on a transformative journey as Caleb grows and explores his world, and as we learn how to be the best parents to him that we can be. I want to share what I have learned in the past two years about Down syndrome and how my son has changed me. 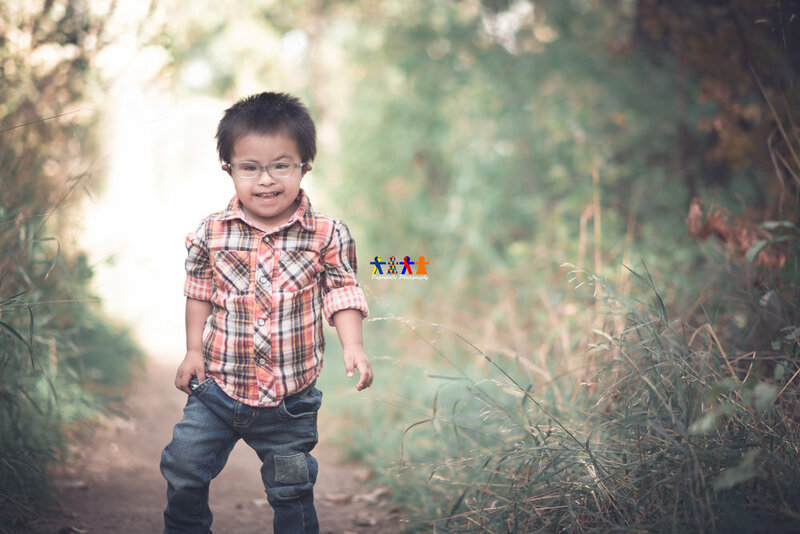 When we got the call about Caleb two years ago (my husband and I were hoping to adopt a child), the first thing our caseworker told us was that he had Down syndrome. Working with children with a variety of special needs as a teacher, I knew a little bit about Down syndrome. I knew that this meant that he had been born with an extra 21st chromosome, and that he would most likely have a list of other health issues, some that would not become apparent until he continued to grow. I knew that bringing home our son meant many doctor trips and multiple therapy sessions each week including speech therapy, occupational therapy, and physical therapy. I knew that he would hit milestones at different times then a typically-developing child. I knew that his speech would be delayed and that I might not hear him say “Momma” or “Daddy” until long after other children had begun using words. I know that if we said yes to this child that we would be busy, but “yes” was the only option for us. To say that was the best “yes” decision we made in our lives would be an understatement, because Caleb has taught me so much about being a mom, being a mom to a child with special needs, and about being a better person. I learned that his teeth would most likely come in a different order, at different times, and some might not come in at all. I also learned that many people with Down syndrome had low immune systems and tend to pick up bugs easier, and for some a common cold can result in a hospital stay. This list would cause any parent to worry. I certainly went into worry hyper-drive when I heard all of this. Some of the things in this list I already knew, but many I did not. Hear What Parents are Saying About TLC! We love when our parents and families share their thoughts about how TLC has impacted their children. Below are a few comments we've received from current parents, and we are so thrilled to be such a positive experience in their family's lives! You can read what other families have to say on our Testimonials page. I am really happy with TLC. I've noticed my son's improvements while coming to school - he wakes up energetic and happy to attend school. He also loves his teacher Ms. Caitlin. Everyone is so nice and kind and very supportive. We are very happy with TLC. My son enjoys coming to school each day. We have a great support system here and I am thankful for each and every person - Caitlin, Lupe, Lindsey, Cindy, Breck, Cynthia and Kelly. TLC is a fantastic preschool! Thank you for all that you're doing for my son. We love TLC. Our son just turned two and can already count to 20 and knows his alphabet. The teachers at TLC are amazing. My son is excited to go to school everyday! I am very happy with TLC! My daughter has always loved school, but had a bad experience at a different school. I switched her to TLC and within a couple of weeks she was back to loving school again! TLC is so loving, patient, and genuine. So grateful to TLC! I am an educator and my school has referred several students to TLC for evaluations and therapy over the years. 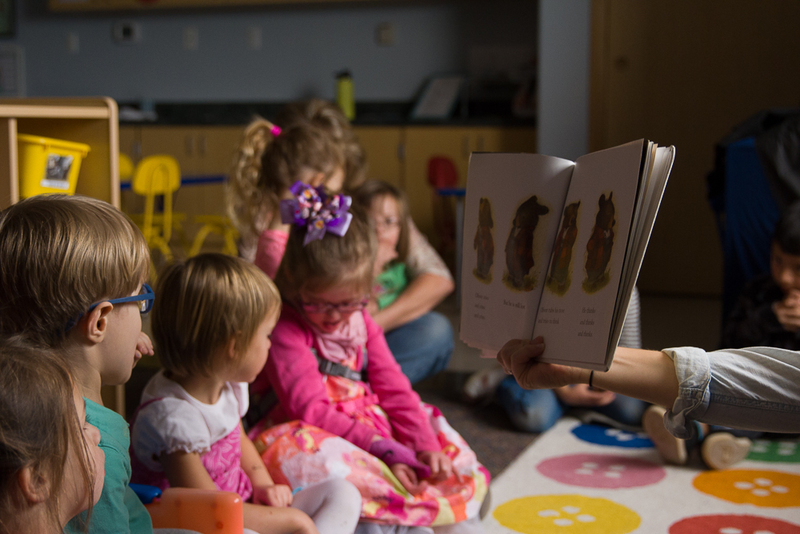 While I was aware that TLC had a preschool for special needs children, it wasn’t until we were searching for a new school for our son, that I discovered that TLC is also an inclusive preschool that purposefully mixes children of all types of backgrounds and abilities in an effort to raise more empathetic, compassionate, and conscientious kids. 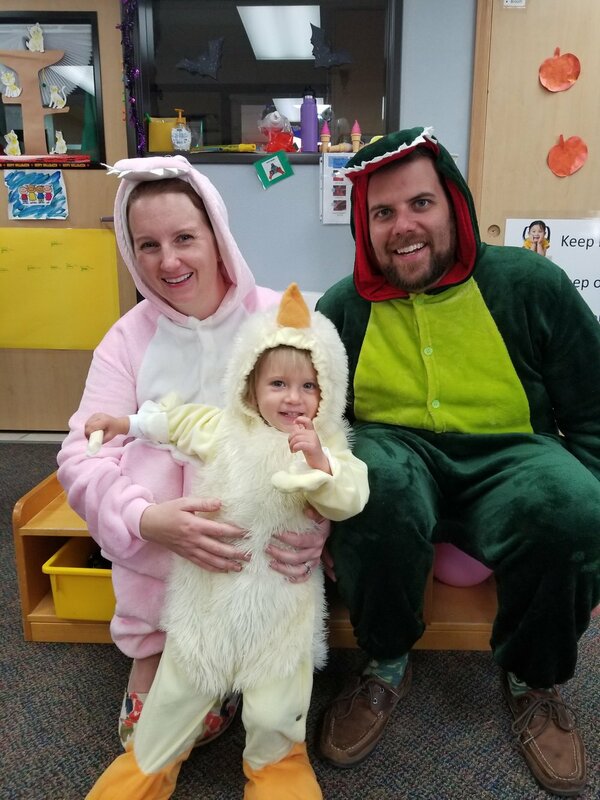 After a tour of the school and reading about the school’s mission and curricula, we knew that TLC was the right place for both of our children (at the time, TLC had just added the infant/toddler program and we were thrilled to enroll our baby daughter, as well). In the last year, TLC has far exceeded my expectations as both a parent and an educator. The manner in which faculty and staff blend academics and social emotional skills should be a model for more schools. Since beginning kindergarten, several teachers have commented on my son’s ability to mediate tricky situations between peers and I know that this in great part due to his time at TLC. I have also been impressed with the amount of differentiation that teachers afford students, and their ability meet each child where they are and design a learning plan that will help each student to reach their full potential. I would recommend TLC to any parent who is looking for a school that fosters diversity, compassion, and lifelong learning. It feels so good to be able to leave my children in the care of such caring professionals whose aim it is to not only teach kids academics, but the life skills needed to be kind and caring members of society. If you come to the TLC Learning Center and happen to use the adult bathrooms during your visit, you might notice that we often have things posted on the backs of the stall doors and/or walls. A little “potty talk” for your reading enjoyment while you are a captive audience sitting on the throne. They might be inspirational, humorous, thought provoking, instructional, etc. but most importantly, they change on a weekly or monthly basis to keep your interest and to keep teaching new things. One item that often makes an appearance here is a copy of the current handout for parents called Skills Sheets by Sandbox Learning (also available at www.sandbox-learning.com) that is a part of our Pyramid Plus Positive Behavior Development program at TLC. It offers practical suggestions to parents for a variety of topics such as Holiday Social Skill Strategies, Having Guests and Visiting Others, or Teaching Skills for Playing with Others. Another parent handout that may appear on the walls is from the Backpack Connection Series (from www.challengingbehavior.org) and may include topics such as How to Teach Your Child to Take Turns, How to Help Your Child to Stop Whining, and How to Have Your Child Have a Successful Bedtime. But “potty talk” is not just for parents. Sometimes the topics are relevant for staff and other adults who visit. Brief articles torn from magazines or printed off the internet may offer suggestions for identifying your personality type, ideas for how to slow down and take time to enjoy your life, healthy food choices, or humorous stories to inspire, educate and entertain you for those brief moments of private time in the stall. “Potty Talk” can also be adapted for children and teens. Funny pictures or cartoons, schedule reminders of upcoming events, inspirational sayings, or very short stories can be posted for their entertainment. They may even learn some new things without even realizing it! So, I encourage you to incorporate a little “potty talk” into your own life. It can be useful at work or at home. If you don’t want to keep putting tape on and pulling it off of your wall consider some alternative ways of posting- hang a small chalk board or cork board on the door or wall nearby, tape or pin up a plastic clear sheet protector for papers that you can slide things into and out of, or use reusable mounting putty to stick things up temporarily. Turns for posting can be rotated through family members or employees to lessen the burden on just one person, if desired. Ideas for what to post can be found in magazines, newspaper articles, comics, online searches, etc. Or come on in to the TLC Learning Center and visit our bathrooms for a little inspiration! And while we’re talking about potties, remember that children do not have to be potty trained to begin preschool at TLC. Teachers work with kids to help them become “potty talk” ready, so they can join in the extra for minutes of learning and inspiration, too!